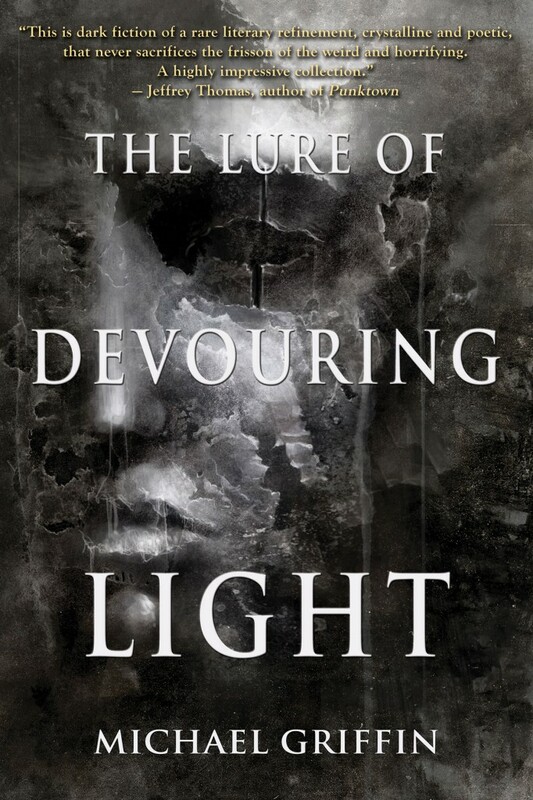 I intend to post some more stories and photos to document NecronomiCon, but probably won’t do the exhaustive and chronologically sequenced rundown of everything that happened, as I did at HPL Film Fest in Portland this year. More likely I will find a few interesting or provocative pictures that seem to go together, and tell a bit about what was happening in the scene where the pictures were taken. This event ended up with quite a few “blind spots” for me, where I took no pictures. I may be able to find and borrow a few photos to help me document such events. Many people are still just settling in at home, and just starting to post photos. 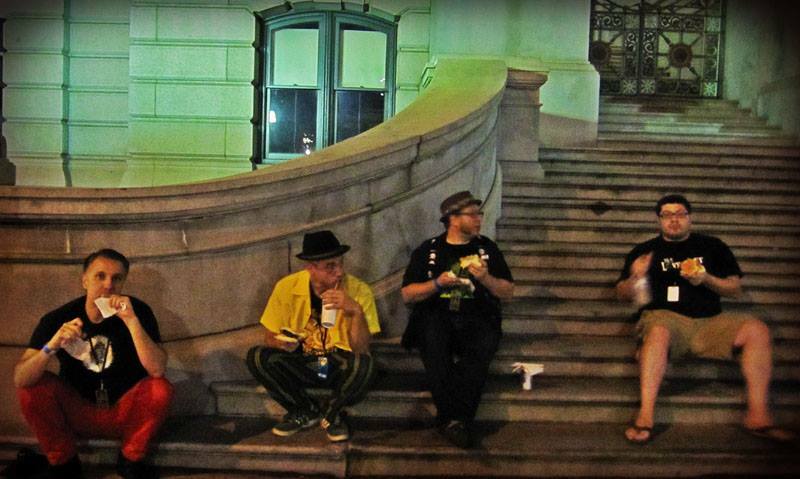 Here’s one of my favorites, taken on the steps of Providence City Hall late Saturday night. Left to right, that’s me, Cody Goodfellow, Nick Gucker and Justin Steele. Photo by my wife, Lena Griffin. We’d ventured out to see Lustmord and Neurosis. After, we walked down to the canal to see the Water-Fire thing, which was interesting in a quiet, meditative way, if a scene can be quiet and meditative with swarms of people on concrete walkways along the shore. Lena wanted to see a band perform, but we went to the wrong location and missed it. Rumor has it that the band experienced performance issues, and their crucial elements of their act fell limp.